How do you use your traveler's notebook? There are no right or wrong answer to using your travelers notebook. The ability and possibilities are endless when it comes to Traveler's Journals. Prima Marketing Ink. currently has 7 standard size travelers notebooks. These are only a few ideas, our travelers journals can be used in any way you would like and need. 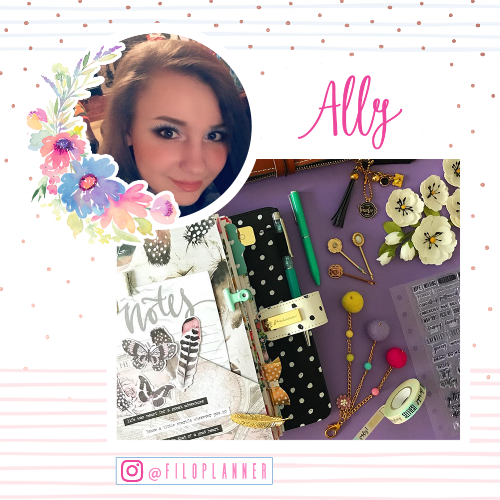 Bellow is a picture of Alesia's set up in one of her travelers notebook and how she uses it to plan out her day as well as make a big to do list in style of bullet journaling. Did you enjoy seeing Alesia's Prima Traveler's Journal collection. To see more inspirational pictures by Alesia make sure to follower her at filoplanner.